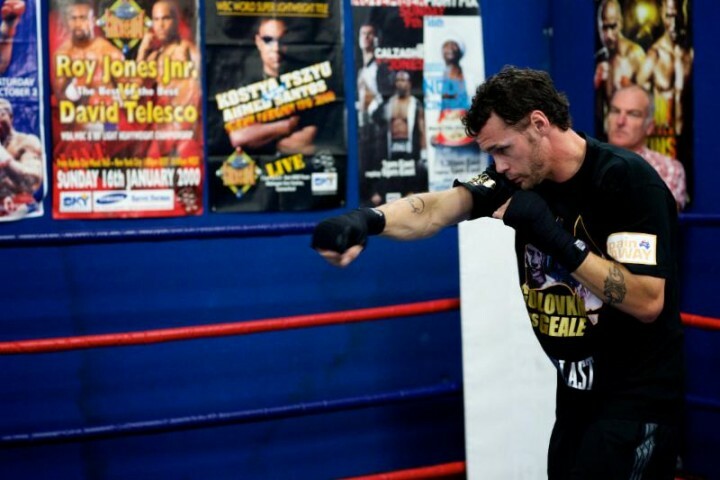 Photo Team Geale – Former Two-Time World Champion, Daniel Geale (31-3, 16 KO’s) is finalizing his last days of training in Australia as he prepares for his upcoming June 6 world championship bout against WBC and Ring Magazine Middleweight World Champion Miguel Cotto (39-4, 32 KO’s) which will be televised live on HBO from Barclays Center in Brooklyn. Cotto vs. Geale, a 12-round fight for Cotto’s WBC and Ring Magazine Middleweight World Championships, takes place Saturday, June 6 at Barclays Center in Brooklyn and will be televised live on HBO. The fight is presented by Roc Nation Sports and Miguel Cotto Promotions in association Gary Shaw Productions and is sponsored by Cerveza Tecate. Tickets priced at $500, $350, $250, $200, $150, $100, $50 and $25, not including applicable service charges and taxes, are on sale now and available for purchase at www.barclayscenter.com, www.ticketmaster.com and at the American Express Box Office at Barclays Center. To charge by phone, call Ticketmaster at (800) 745-3000. Doors open at 6:00 PM, the first fight begins at 6:15 PM and the HBO telecast begins at 10:30 PM ET/PT. For more information please visit www.rocnation.com. Follow Roc Nation on Twitter and Instagram @rocnation and on Facebook at www.facebook.com/RocNation. For more information, visit www.hbo.com/boxing, follow on Twitter and Instagram at @HBOBoxing and become a fan on Facebook at www.facebook.com/HBOBoxing.